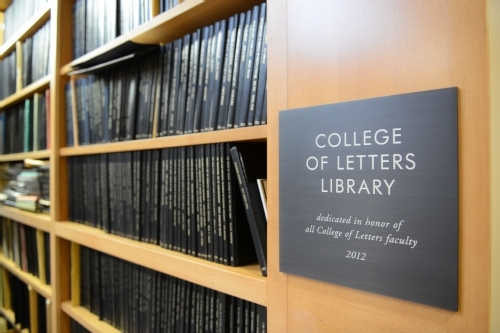 The College of Letters is a three year, interdisciplinary major for the study of European literature, history, and philosophy, from antiquity to the present. 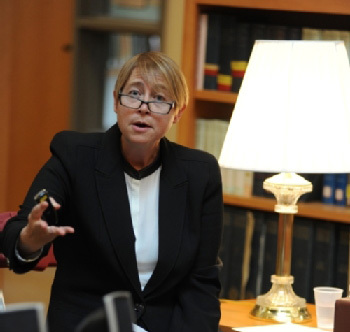 During these three years, students participate as a cohort in a series of colloquia in which they read and discuss works together (in English), learn to think critically about texts in relation to their contexts and influences—both European and non-European—and in relation to the disciplines that shape and are shaped by those texts. Majors also become proficient in a foreign language and study abroad in order to deepen their knowledge of another culture. The COL, a unique college within the University, has its own library and workspace where students can study together, participate in seminars and workshops, attend lectures, and meet informally with their professors, whose offices surround the library. "Text, Paratext, Performance: Translating Ancient Literature"